It’s common knowledge that all children should be screened early and often in order to determine which kids are developing typically and which are at risk for delays. 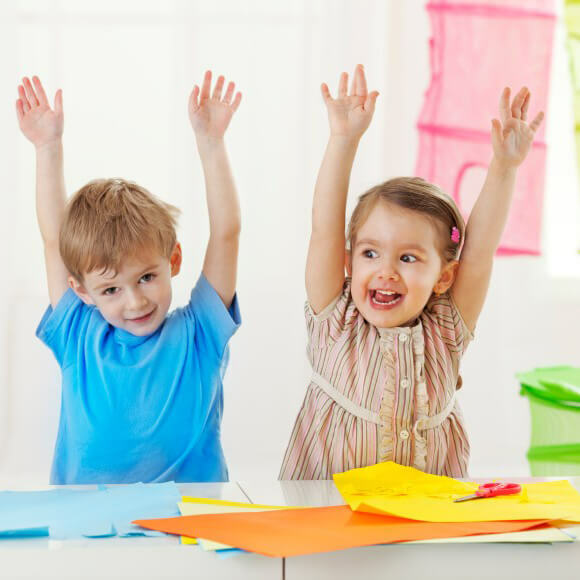 And the tool of choice is often ASQ®-3, which screens across several key domains: gross and fine motor skills, communication, problem solving and personal-social development. Even with the reliability and range offered by ASQ-3, you can get an even clearer picture of a child’s development by adding the Ages & Stages Questionnaires®: Social-Emotional, Second Edition (ASQ®:SE-2) screener as a companion tool. What is ASQ:SE-2 and how does it differ from ASQ-3? Modeled after ASQ-3, ASQ:SE-2 is designed to exclusively screen for social and emotional behaviors outside a young child’s typical ups and downs. While ASQ-3 does include six items in the personal-social domain, they mostly assess whether a child can meet her own self-help needs in an age-appropriate manner—like getting herself dressed or knowing her and other people’s names. In contrast, ASQ:SE-2 addresses the broad and complex nature of the social-emotional domain of development. The questionnaires include items in each of seven key behavioral areas: self-regulation, compliance, social-communication, adaptive functioning, autonomy, affect, and interaction with people. Using ASQ:SE-2 in addition to ASQ-3 gives parents and programs a much more thorough understanding of social and emotional behaviors than they’d get from ASQ-3 alone. Why use the two tools together? Clifford and her colleagues recommend that all children are screened using both ASQ-3 and ASQ:SE-2. Doing so provides a more complete view of the child’s development, which can help providers and families identify concerns earlier and make informed decisions about referrals and support. What’s the best way to use the two tools together? In a webinar that Clifford and two of her co-developers gave in May, they stressed that how and when the tools are used isn’t as important as making sure that you carefully consider results from both questionnaires before making referrals or a follow-up plan. Home visits – Leave both questionnaires with parents 2 weeks prior to a scheduled home visit. Or, administer one tool during one visit, then the other tool during a subsequent visit. They say that traditionally ASQ-3 is used first since it covers the majority of domains but there’s no reason ASQ:SE-2 can’t be given first if desired. Center-based programs – Parents can be asked to complete both tools independently at home. Or, ASQ-3 can be completed during a scheduled event like parent education night with ASQ:SE-2 to follow while children play or at home. Screening can also coincide with parent–teacher conferences. ASQ-3 can be administered during the conference and ASQ:SE-2 can be independently completed at home either before or after the conference. Clinical setting – Parents can come to an appointment 30 minutes early to complete both questionnaires, or they can complete them at home and bring completed questionnaires to their next well-child visit. Of course, ASQ® Online subscribers can also provide families with online access through ASQ® Family Access, which allows them to complete both questionnaires electronically. How can I learn more about ASQ:SE-2? The latest edition of the social-emotional screener was published in September 2015, and there are lots of new and exciting features, including a new 2-month questionnaire, an expanded age range, new data and cutoffs, and new-and-improved implementation support.